This book is the second edition of a successful, self-contained text for those students and readers interested in learning hypersonic flow and high-temperature gas dynamics. Like the first edition, it assumes no prior familiarity with either subjecton the part of the reader. If you have never studied hypersonic and/or high-temperature gas dynamics before, and if you have never worked extensively in the area, then this book is for you. On the other hand, if you have worked and/or are working in these areas, and you want a cohesive presentation of the fundamentals, a development of important theory and techniques, a discussion of the salient results with emphasis on the physical aspects, and a presentation of modern thinking in these areas, then this book is also for you. 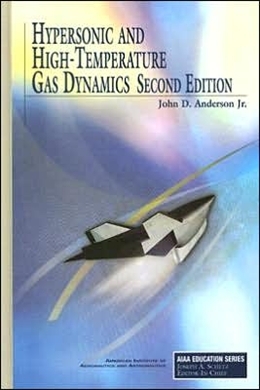 In other words, this book is designed for two roles: 1) as an effective classroom text that can be used with ease by the instructor, and understood with ease by the student; and 2) as a viable, professional working tool for engineers, scientists, and managers who have any contact in their jobs with hypersonic and/or high-temperature flow. Because of its success, most of the first edition has been carried over to the second edition with the addition of much new material.